Dyslexia is a language-based, learning disability that affects approximately 15% of the population living in the United States. It is the most common learning disability in the country. People who are dyslexic find it difficult to read because they are unable to properly identify speech sounds and learn how they relate to letters and words. They often have difficulty with writing, math and comprehension as well. Dyslexia is a lifelong disability that cannot be cured. However, an individual can overcome its many challenges when early intervention and specialized education approaches are applied. A significant number of children with dyslexia go undiagnosed because symptoms are not recognized. 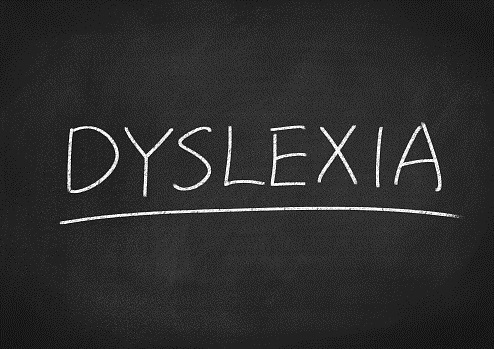 Many children who are undiagnosed, struggle in school and grow up to be adults who are unaware that they have dyslexia; therefore, it is very important for parents to note warning signs and seek assistance from a specialist. 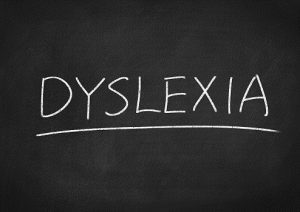 In most cases, a diagnosis of dyslexia is determined by a licensed educational psychologist after completing a series of evaluations. Halloween is known as a kid-favorite holiday full of spooky fun and lots of candy. However, it can also present many opportunities for injury, as children take to the streets in pursuit of trick-or-treat goodies. 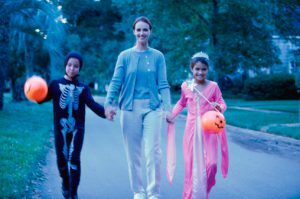 Statistics show that roughly four times as many children aged 5-14 are killed while walking on Halloween evening compared with other evenings of the year. Also, injuries such as falls are a leading cause of injuries among children on Halloween. Parents can help minimize the risk of children getting injured at Halloween by following these safety tips from the American Academy of Pediatrics, the Centers for Disease Control and Prevention and the National Safety Council. Go only to well-lit houses and remain on porches than entering houses. Travel in small groups accompanied by an adult. Use costume plastic knives and swords that are flexible, not rigid or sharp. 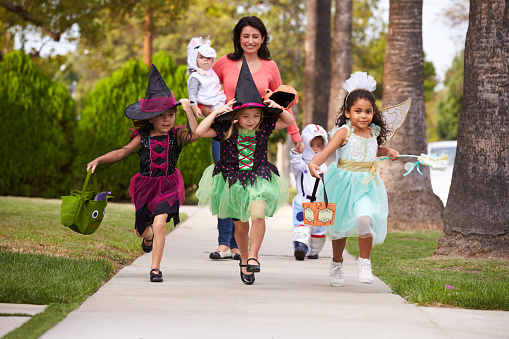 When walking through neighborhoods trick or treating, use flashlights, stay on sidewalks, and avoid crossing yards. Cross at the corner, use crosswalks and do not cross between parked cars. Be sure to stop at all corners and stay together in a group before crossing. Wear clothing or costumes that are bright, reflective and flame retardant. Consider using face paint instead of masks which can obstruct a child’s vision. Avoid wearing hats that will slide over children’s eyes. Avoid wearing long, baggy or loose costumes or oversized shoes to prevent tripping. Be reminded to look left, right and left again before crossing a street. Supervise the trick or treat outing for children under age 12. Avoid giving choking hazards such a gum, peanuts, hard candies, or small toys as treats to young children. Parents and adults should ensure the safety of pedestrian trick or treaters. Make sure children under age 10 are supervised as they cross the street. Watch for children in the street and on medians. Exit driveways and alleyways slowly and carefully. Have children get out of cars on the curbs side, not on the traffic side. By following these simple tips, you and your children can have a safe and fun Halloween! Sudden Infant Death Syndrome (SIDS) is defined as the sudden and unexplained death of an infant under the age of one. It is the leading cause of death in babies in the United States. Most cases of SIDS occur while infants are asleep; this is why it is also referred to as “crib death”. 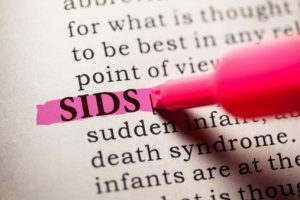 Despite many years of research, the cause of SIDS is still unknown; some experts theorize that the cause may be the result of defects in the part of a child’s brain that controls breathing and arousal from sleep. The CDC reports that due to education, incidents of SIDS have declined. Flushing Hospital Medical Center is raising awareness during SIDS Awareness Month, which is observed in October, by educating the community about ways to reduce risks. Although there has been a declination in the number of infant deaths attributed to SIDS, It is important to keep in mind that SIDS remains the leading cause of death in babies and parents should always take measures to provide a safe sleep environment for their child. • Don’t eat a big meal before going to bed. • Elevate the head of your bed so that your head is higher than your abdomen. • Avoid tight clothing that press on your abdomen. • Reduce your consumption of alcohol. 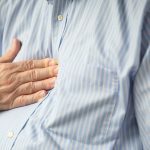 If you are experiencing symptoms of acid reflux on a regular basis you should consult with a physician who may want to perform tests to find out how serious the condition is. If you would like to schedule an appointment with a physician at Flushing Hospital, please call 718-670-5486. Can Some Bacteria be Good for You? Bacteria. The word alone makes us think of infection, disease, and illness. We hate all bacteria, right? Actually, there is such a thing as GOOD bacteria. They are called probiotics and they help you maintain a healthy digestive system. They do this by lowering “bad” bacteria that can cause infections and other problems. Sometimes we don’t have enough good bacteria in our systems (for instance, like when we are on antibiotics). 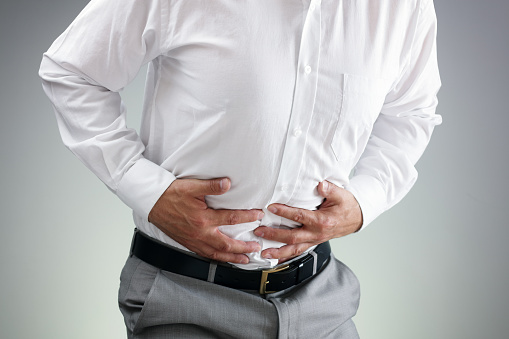 A lack of good bacteria can cause a variety of digestive issues. By taking probiotics, we are replacing those good bacteria which are sometimes lost. Probiotics are most commonly taken to help prevent or improve common digestive problems such as irritable bowel syndrome and diarrhea. Others have suggested that they are also beneficial in treating skin conditions, such as eczema, improving urinary and vaginal health, and preventing colds and allergies. 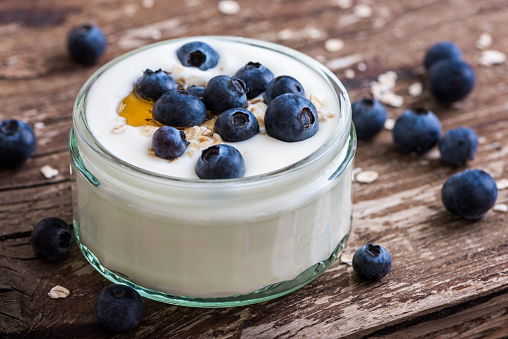 Your body naturally generates probiotics, but if you want to increase your good bacteria levels, you can take probiotics in supplement form or get them by eating certain foods, most notably yogurt and other fermented products. Probiotics are natural so they are generally considered safe to take, even in supplement form. It is recommended that you speak to your doctor about the best way of incorporating probiotics into your diet. 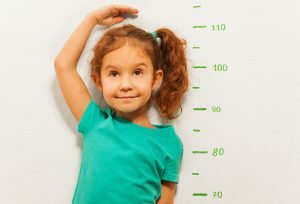 How Do You Know if Your Child has a Growth Disorder? After years of collecting statistics on childhood development experts have developed a standard growth chart. Pediatricians use this chart as a guideline to monitor the growth of their patients against other children of the same age during a child’s annual well visit. Children are ranked by percentile (from 1 to 100). If a child is ranked either below the 3rd or above the 97th, a doctor will usually want to investigate potential reasons as to why. While in most cases there is no need for concern, for some children, a lack of growth could be caused by a growth disorder. The most common reason for a growth disorder is related to the pituitary gland, which is located at the base of the brain. One of the main functions of this gland is to release growth hormones to your body. When the pituitary gland doesn’t make enough growth hormone, it causes a condition known hypopituitarism, which can slow down a child’s rate of growth. Special tests can determine if a child isn’t producing enough growth hormone. If not, daily injections of growth hormone can often help them grow at a more conventional rate. Another gland that produces hormones important for growth is the thyroid. Your thyroid makes a hormone called thyroxine. 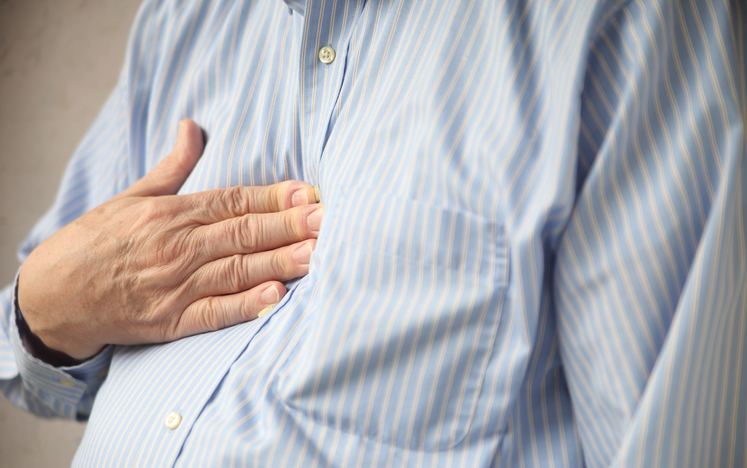 If it makes too little, the condition is called hypothyroidism. Having too little thyroxine cause a child to grow more slowly. Doctors can do a simple blood test for hypothyroidism. If it’s needed, pills can be prescribed to compensate for the lack of this hormone. Thankfully, many growth disorders can be successfully treated today. The best advice is to make sure your child sees their pediatrician for their annual visit so any issue can be immediately identified. If you do not have a pediatrician, you can make an appointment to see one in Flushing Hospital’s Ambulatory Care Center. For more information, or to make an appointment, please call 718-670-3007. It is nearing the middle of October and it is also the beginning of flu season. None of us want to catch the flu so it is a good idea to take some preventative measures that can help us to stay healthy. • Keep a hand sanitizer handy for the times soap and water are not available. • Avoid touching your hands to your eyes, nose and mouth. • Whenever possible, disinfect surfaces that are frequently used by others such as tables and chairs. • Tobacco can suppress the immune system, so it is highly recommended to quit smoking. If you would like to schedule an appointment with a physician at Flushing Hospital to discuss the flu vaccine and other ways to stay healthy, please call 718-670-5486. Bad breath, medically known as halitosis can be caused by a number of factors including health problems, smoking, certain foods and poor dental health habits. 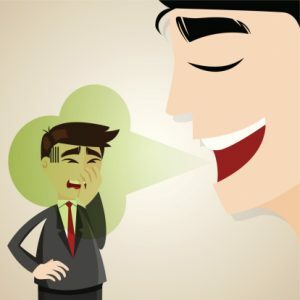 If the cause of bad breath is not the result of chronic conditions such as diabetes, sinus infections or kidney disease, then chances are there is a build-up of bacteria in the mouth that gives off gases or odors. Chewing a piece of lemon or orange rind. Taking probiotics or eating foods that are rich in probiotics, such as yogurt. Eating raw fruits and vegetables such as apples or celery. Consulting a physician about colon cleansing. Chewing a tablespoon of fennel seeds or making fennel tea. Mixing apple cider vinegar with water and gargling. Trying these natural remedies can help in keeping breath fresh; however, the best remedy is to practice good oral health by brushing and flossing teeth daily.